Well well well the most essential tools for makeup and what to do when they get dirty and need a nice bath!!! Well this question came in my mind just before buying brushes since I don’t want to spend money on brush cleaner I want a quick, easy and budget friendly solution. 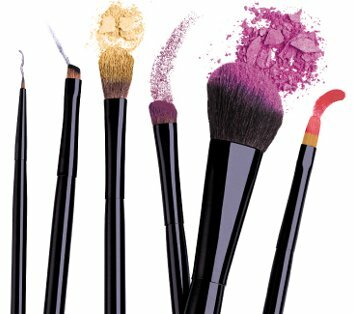 Here I want to share you what I do to clean up my brushes. How to do it !!! Well its quite simple open the tap don’t place the brush directly down the water just place the brush on the wash basin very close to the water flow and move it in circular motion. Don’t let your bristles joint to face the water this will weaken the bristles bonding and they begin to fall. Then place the brush horizontally to any clean surface and give it as much time as it need to completely dry up.